Comments: Cora M. Perrine (Nee: CORMENY) | Neligh NE USA | 1901-1920 | Comments: CORMENY FAMILY. 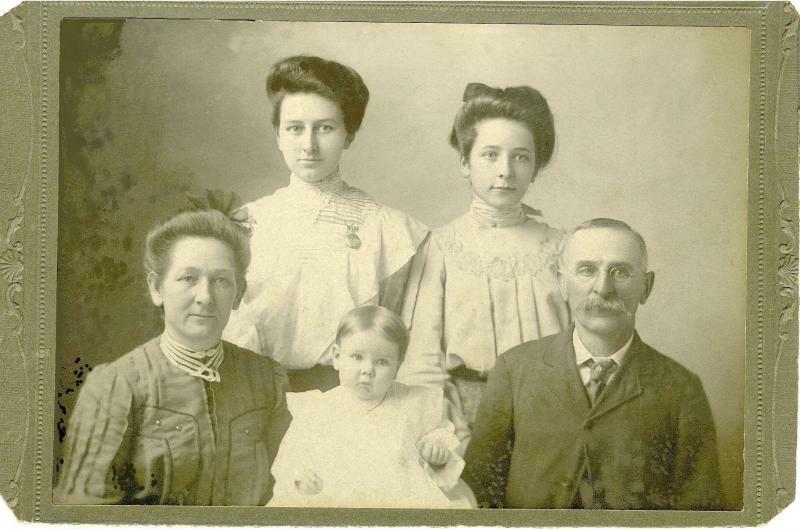 Lto R: back: Alice Amanda CORMENY Udey Fruhof (1884-1976); and Cora M. CORMENY Curtright, Perrine (1891-1983). LtoR Front: Florence June SIMMONS Cormeny (1866-1944); Mae Genevieve CORMENY (1903-1994); and William Henry CORMENY (1853-1927). William and Florence are the parents of the three girls . Mae never married. If you are related to any of these people, we would like to hear from you. Thank you.